When it comes to the relationship between a child, their parents, and their grandparents, it is always best if the parties involved can work out their differences or problems on their own. However, there are times when these relationships and issues pertaining to visitation or custody need intervention from the family courts. If you are a grandparent who wishes to pursue or learn more about visitation or custody rights in Massachusetts, contact a Massachusetts family law firm. Attorney Stephen Forlizzi has many years of experience in family law and grandparents rights. Grandparents may have a number of reasons to seek custody of their grandchildren. If the parent who has custody has a drug or alcohol problem, grandparents may have a case to pursue custody. If the parent is proven to be neglectful or is unable to take care of the child for any number of reasons, there may be cause to seek custody for the protection and welfare of that child. Grandparent visitation can be a difficult journey. Grandparents may find themselves cut off from grandchildren for a number of reasons. However, there are certain criteria that must be met before a judge will override the wishes of a parent or rule that visitation be granted. The Grandparents must prove that failure to grant visitation will harm the child or negatively impact their health, safety, and welfare. They must also show that they had an important or beneficial relationship with the child before a case needed to be pursued. While it can a challenging and emotionally charged journey, having the Law Office of Stephen M. Forlizzi on your side can greatly improve your chances of a favorable outcome. We can conduct a free consultation and listen to the details of your case. We will give your case the individual attention it deserves and pursue any avenue we can to help you. We understand the sensitivity it takes to navigate any family law case, especially when it involves custody or visitation of children. 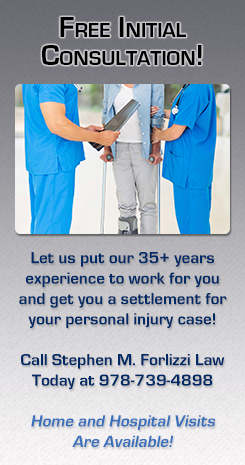 During this difficult time, let us help you get the best outcome for your case and your family.